Mike helps developers build better mobile and web apps as a product manager on the Firebase team. 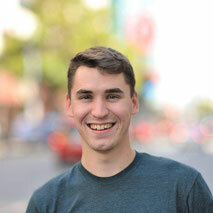 Mike has been working on Firebase for four years, and has previously worked developing iOS apps at the Omni Group and building microprocessors at Texas Instruments. In his free time, he enjoys spending time in the outdoors, cooking, and hacking on embedded hardware. Serverless and FaaS are often used interchangeably, but are they actually the same thing? We'll discuss how BaaS and SaaS products fit in to your serverless applications, and see how to use Firebase and Google Cloud Platform to blend these together. If you're lucky, we'll even perform some serverless magic and make infrastructure disappear!